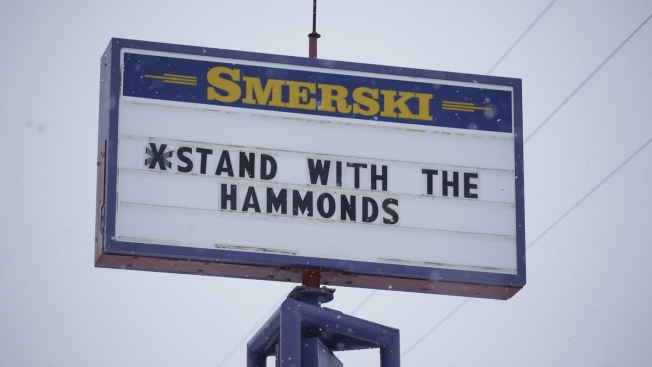 In this Jan. 5, 2016, file photo, a sign shows support for the Dwight and Steven Hammond in Burns, Ore. Rep. President Donald Trump pardoned the Hammonds, who inspired the occupation of the Malheur National Wildlife Refuge in Oregon, on Tuesday, July 10, 2018. Two imprisoned ranchers who were convicted of intentionally setting fires in 2012 on public land in Oregon will be freed after President Donald Trump pardoned them on Tuesday. 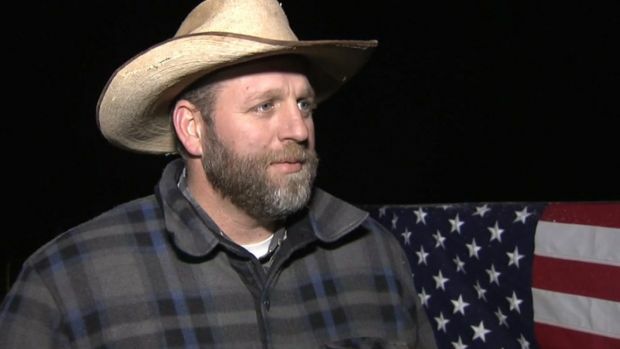 Residents of Harney County, Oregon say it's time for armed protesters occupying a nearby federal wildlife refuge headquarters to end their protest. The dozens of armed people who occupied the refuge near the Hammond ranch for 41 days said the Hammonds were victims of federal overreach. They changed the refuge's name to the Harney County Resource Center, reflecting their belief that the federal government has only a limited right to own property within a state. The Hammonds were being held at a federal detention center south of Los Angeles. It wasn't immediately clear when they'd be released. The FBI released aerial video of the shooting death of a spokesman for armed anti-government occupiers of a wildlife refuge showing the man reaching into his jacket before he fell into the snow. The FBI said the man had a gun in his pocket. U.S. District Judge Michael R. Hogan said such a lengthy sentence "would not meet any idea I have of justice, proportionality ... it would be a sentence which would shock the conscience to me." In a statement Tuesday, White House press secretary Sarah Sanders called that decision "unjust." Republican U.S. Rep. Greg Walden of Oregon, who lobbied the White House for the pardon of the Hammonds, said Trump's decision was "a win for justice, and an acknowledgment of our unique way of life in the high desert, rural West." The pardons are the latest in a growing list of clemency actions by Trump. He has said he's considering thousands of other cases —famous and not. Zeke Miller contributed to this report.